France is an extremely varied country, with almost every European climate you could want. Whether it’s the rugged northwest coast, the flat northeast, the mountainous centre of the south or the sunkissed Mediterranean coast, you’re spoilt for choice. 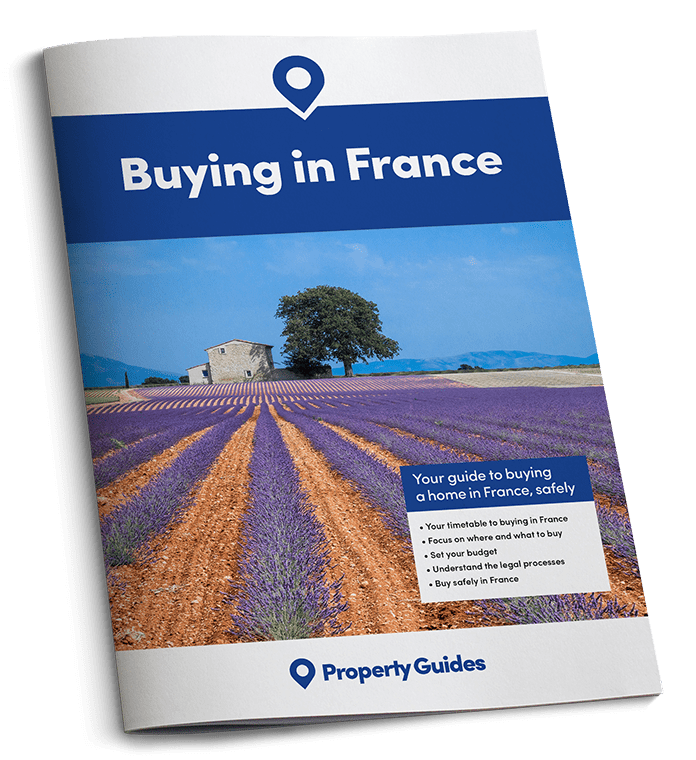 In this Part Three of Buying in France, we’re looking at where to buy in France. If you want to know more about planning your move, check out Part One. And, to find out about the timescale, read Part Two. Aquitaine has the longest beaches in Europe. La Côte d’Argent stretches 150 miles north to the south, broken about halfway by the Bassin d’Arcachon. This charming French seaside town offers huge diversity: a large lagoon for watersports and sailing, wildfowl watching, eating local oysters, and enjoying the panorama of Europe’s largest dune, Dune de Pilat. The coast is famous as the best place for surfing the great Atlantic rollers. If your hunt for where to buy in France is concentrated on cities, you also have options here. The grand city of Bordeaux and the surrounding vineyards are just 30 miles away, while further south is the pine-fringed beach of Les Landes that plunges uninterrupted to Bayonne and Biarritz. For those of you looking where to buy in France for the rural lifestyle, Aquitaine could be just the ticket. Places of interest: The wine region, Pauillac in particular, is the home of Château Lafite Rothschild, Château Mouton-Rothschild and Château Latour, St Emilion. Check out the spa town of Dax and boat trips from Royan. Price of property: You could be looking at €1.5million for a three-bedroom house in central Arcachon and even more in Bordeaux, but look inland for pastoral beauty and tranquillity. There, you will find fine houses on offer from €300,000 or, if you are lucky, even less. Getting there: There are flights from Heathrow with a change at Paris (Charles de Gaulle). The TGV from Montparnasse takes about three hours and costs from £80. Brittany stubbornly braves the assault of the Atlantic like its people, Celt by origin, who resist the tide of government influence. Known as Armorica, the Land of the Sea, it provides great diversity. There’s the broad beaches in the north, the rugged coastline of Finistère in the west, pretty sheltered coves and islands in the south and forests in the east. In the centre is the Argoat, famous for Arthurian legend. With the exchange moving so much over the last few weeks, don’t leave your money exposed to sudden falls. 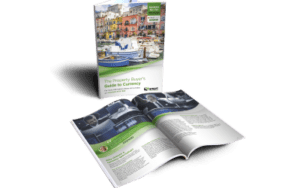 This would be an expensive mistake – so find out how to fix the same exchange rate for up to a year in The Property Buyer’s Guide to Currency. To escape the summer crowds, it’s best to head for the peace of the attractive countryside. It is not that hard a choice as there is nowhere in Brittany that is much more than 40 miles to a coast and the roads are good. Places of interest: Dinard, Mont St Michel, Rennes, Quiberon, the fortress cities of St-Malo, Combourg, Fougères and the pre-historic megaliths near Carnac. Price of property: House prices have been stable for some time. You can get a one-bedroom house for as little as €50,000 but it will need work. €200,000 will get a decent three or four-bedroom house with a garden. There is plenty of property for sale particularly, in the Morbihan Département in the south. Getting there: Brittany Ferries sail between Plymouth and Roscoff, Portsmoth and St-Malo. There are flights into Nantes. Sip a Côte de Beaune, swirl it around your palate and you’re experiencing just a hint of the majesty of Burgundy, the richest province of France culturally, gastronomically and economically. Its history is told in its palaces, abbeys and churches, art collections, vineyards and customs. Franche-Comté in the east does without this opulence but offers the excitements of outdoor pursuits and a wonderful variety of natural phenomena. Places of interest: Dijon, of course, with its architectural splendour, university, Musée des Beaux Arts, and epicurean restaurants. Beaune, cocooned in its ramparts and encircled by boulevards. Golden Vézelay, with its abbey – in effect an exhibition of architectural gems; the prehistoric Roche de Soloutré standing defiantly among Macon vineyards. In Franche-Comté, Le Corbusier’s chapel at Ronchamp and the spectacle of the Cascade du Hérisson near the wine town of Arbois. Price of property: There are some interesting properties that need renovation in rural areas from around €50,000. Three- and four-bedroom rural properties cost about €120,000. For a good two-bedroom apartment in Dijon, budget for around €125,000. Getting there: The TGV from Paris takes just over 90 minutes. There is also a three-hour train service from Charles de Gaulle Airport. The A6 from Paris leads to Dijon where it meets the A31 to Beaune, Macon and Lyon. For those who like their French cool spiked with the fire of Spain, Languedoc-Roussillon fits the bill – and there’s so much more. The Romans left architectural treasures like confetti, the Spaniards built fortresses and left a legacy of Spanish-flavoured food, wine and festivals. The beaches of Golfe du Lion are as fine as any in the Mediterranean but without the excesses of the Côte d’Azur. Places of interest: Catalan Perpignan parades its colourful shops next to the aromatic Arab quarter. Carcassonne is a mighty fortress city. Montpellier has lively nightlife, and don’t miss gastronomic Narbonne. Sights include the inspiring Grotte de Clamouse in Parc Régional du Haut Languedoc; the 2,000-year-old Pont de Gard aqueduct. There’s the Roman amphitheatre of Nimes and, by contrast, the modern beach city of La Grande-Motte with its ziggurats. You need two lifetimes to appreciate it all. Price of property: Inland properties sell for €300,000 to €500,000 but you get a lot for your money: three, four or even five bedrooms in villa-type houses with swimming pool surrounded by big gardens. Look for bargains, there are plenty of them right now. Getting there: There are flights from Heathrow to Perpignan, Montpelier, Marseille. The TGV serves Nimes, Marseille and Montpellier but there are also good SNCF rail services to Perpignan, Bezier, Agde, Carcassonne, Narbonne and Sète. The channel ports of Northern France – Dunkirk, Calais and Boulogne – lead to many places of interest inland and on the coast: Arras, Amiens, Beauvais, Abbeville, Le Touquet and more. The challenge is to grasp that French property, separated by only 50 miles and a Channel crossing, is around a third to half the price of the equivalent in England. However, you feel culturally and gastronomically a long way from home. It is an appealing thought for those who want to keep in close touch with family. Places of interest: Le Touquet for its long sandy beach, golf and horse racing. Nearby Montreuil for its rampart walk and abundant restaurants. Arras with its cobbled squares, Grand Place, and the huge Abbaye St-Vaast; Amiens, capital of Picardy, home of Jules Verne and its glorious cathedral whose nave soars above the delightfully carved choir stalls. Beauvais’ magnificent 90,000-part astrological clock in the vaulted cathedral. Chantilly, home to paintings by Raphael, Poussin and Ingres, the centre of French horse racing with its palatial stables. Price of property: Three-bedroom houses with gardens go from around €250,000, but more in the coastal resorts. Getting there: By car, less than four hours from London via the Eurotunnel to Calais. From Calais, the A26 goes straight to Paris and there is a good network of roads. The River Loire is France’s longest river. From its source in the Massif Central, it flows over 600 miles to the Bay of Biscay. 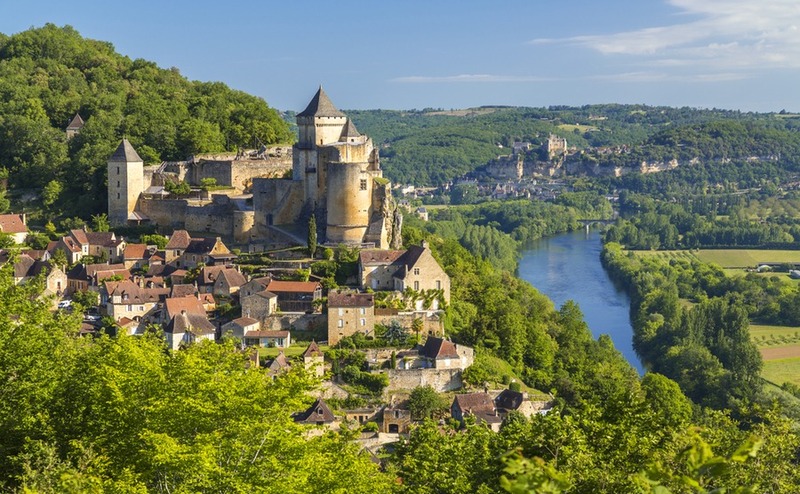 Known as the Garden of France, it feeds the vineyards of Sancerre, Vouvrey, Saumur, Angers and Muscadet, many more if you include its tributaries. The Loire valley travels an historic path: Orleans (Jean of Arc), Chinon (birthplace of Rabellais), Clos Lucé (where Leonardo da Vinci died) and, of course, the magnificent châteaux that tell their own stories. Places of interest: Nantes dominates the centre of the Muscadet region. The great châteaux along the river are now decorative palaces that command your attention. The severe façade of the fortress in Angers contrasts with fairy tale Château de Saumur. At Amboise the picturesque Château once hung slaughtered Huguenots from its battlements – French history was always dramatic and rarely as peaceful as today. Arguably the grandest of all is Château de Chambord, said to be planned by Leonardo da Vinci. At Château de Blois, do not miss the extraordinary octagonal staircase. Price of property: The price of houses increases as they get closer to the coast. Three-bedroom houses near Angers sells at about €325,000 rising to €400,000 on the outskirts of Nantes. Getting there: There are direct flights to Nantes from many UK airports. The TGV serves Nantes hourly in about two hours from Montparnasse. There is an excellent network of roads throughout the region. Wine is not the only attraction of the Rhône Valley. To the east lie the Alps, high and majestic, while to the west is the wilderness of the Ardèche. At the centre is Lugdunum, founded by Julius Caesar in 44BC, now Lyon. Since then, central Lyon has become a fairy tale city of Renaissance palaces, chic little shops in cobble-stones streets, boucherons (bistros) and journey’s end for gastronomic pilgrims! 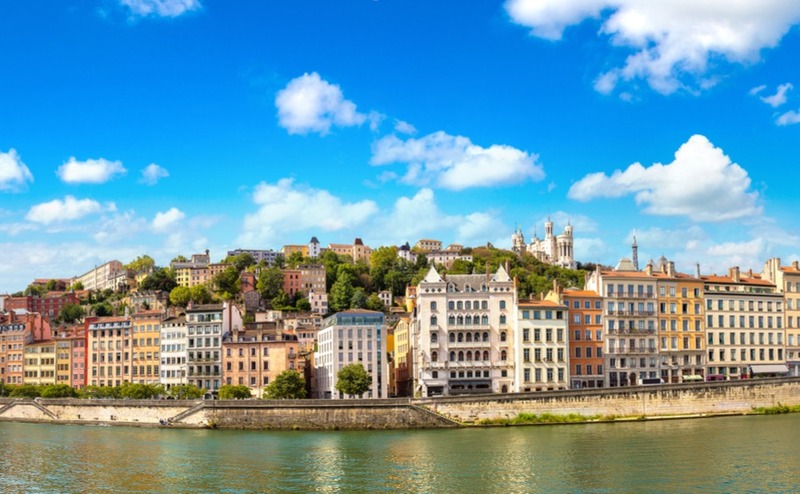 Choosing where to buy in France isn’t easy, but Lyon’s a strong contender from its affordable property, friendly locals and delicious cuisine. Places of interest: The two Roman theatres, one of them the oldest in France, the Basilique Notre-Dame de Fourvière that crowns the city and reached by funicular, and the Chemin du Rosaire, a path that zig zags through the hillside garden. Lyon’s Musée des Beaux Arts comes second only to the Louvre. First class restaurants are everywhere, including the quayside at the confluence of the Saône and Rhone. Lyon is where haute cuisine gets happily married to the region’s finest wines. Price of property: A comfortable two-bedroom apartment in the city varies from €200,000-€350,000 depending on location. Three-bedroom apartments start from around €350,000 and a three-bedroom house with garden may cost you €350,000-€450,000. Getting there: There are frequent flights to Lyon from UK airports. The TGV from Paris is also fast and frequent. It is possible you have driven through the Massif Central and been unaware of the treasures to be found there. It is volcanic and it shows; in the black stone used for buildings and fountains, the thermal spa of Vichy and in the countryside where a string of 119 extinct volcanoes stretch across the plateau; the largest being Puy de Dôme whose summit can be reached by car on the spiralling road ascending at a constant 12%. Places of interest: The capital, Clermont-Ferrand, home of Michelin tyres, welcomes visitors to its lively markets, elegant architecture and steep, narrow streets. Limoges is famous for its porcelain, while nearby Aubusson produces the dyes to colour tapestries and rugs. Issoire is a glider pilot’s heaven. The basiliques will fascinate you, but none more so than Chapelle St-Michel d’Aiguille that stands improbably on huge finger of lava rock. Price of property: On the whole property is very affordable. You can buy land for less than €15,000 or two bedrooms for around €50,000. For €75,000, you will find pretty countryside cottages of three bedrooms or more, most with fantastic views. Getting there: There are good services by train from Paris to Vichy, Clermont-Ferrand, Limoges and Uzerche. The A71 motorway runs down the middle of Massif Central feeding hundreds of smaller roads leading to many places of fascination. The 2024 Olympic games will be held in France; the majority of events in central Paris, Le Bourget, St Dennis and the Stade de France. So, if you want to exploit the situation, now is the time. The Games and the Paralympics will come and go in a flash in August but Paris is Paris and to be enjoyed always and in all ways. Places of interest: The art museums arguably hold the largest and most priceless art collections in the world. The buildings of Paris escaped the desecration of war so there are many fine buildings including grand palaces like the Louvre, the courageous Grand Arche and, of course the iconic cathedrals of Notre Dame and Sainte-Chapelle. Comédie-Française and the Paris Opera satisfy the thirst for drama. For a walk through history, there is Cimetière Père Lachaise. For culture of another kind, the restaurants, bistros and cafés not only serve up epicurean food and wine as no one else can but also make the ambience part of the pleasure. Price of property: City centre properties command huge prices but in Hauts-de-Seine, 11.5 km outside Paris, €1m will buy a four-bedroom house with a quarter acre of garden. Go further out, and the price drops by about half for a similar property. Getting there: Paris is easy to reach by car, train or air. Travelling east from the resorts of Bayonne, Biarritz and St-Jen-de-Luz, lies the rugged area of the Pyrenees, a paradise for skiers and lovers of nature. You will find the variety of wildlife – plants and animals – in abundance. These magnificent mountains and foothills offer over 1,600 km of walking trails and once gave refuge to the Cathars. Their great castle ruins appear unexpectedly amongst the trees in the steep hillsides. A wonderland of adventure. 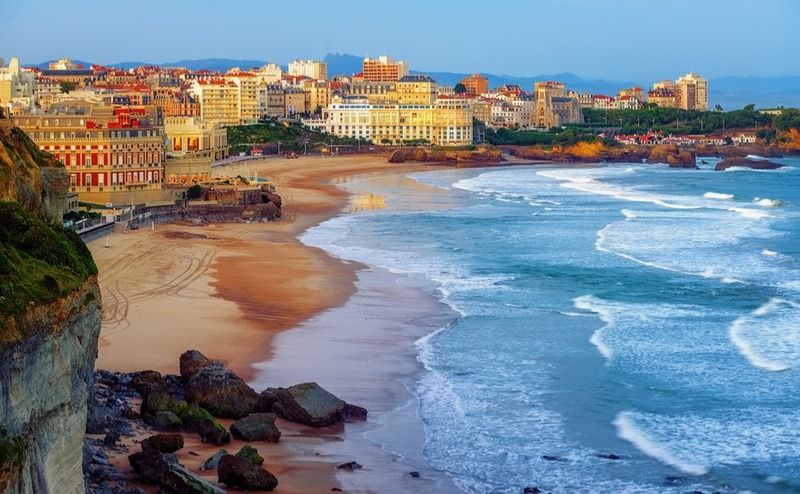 Glamorous Biarritz has enjoyed popularity among northern sun-seekers for over a century. Places of interest: Biarritz, Bayonne, St-Jean-de-Luz in the west and Perpignon in the east; Pau with its Belle Epoque architecture; Tarbes, a prosperous town and home of the French National Stud; St-Jean-Pied-de-Port is a fortress town on the way to Santiago de Compostela where the spirits of history roam its narrow streets; Lourdes, second only to Paris for its visitors. Price of property: Surprisingly you may find your neighbour is British. They have been hiding here for a century or more. Convenience is important so look for homes in and around the cities. There are many fine four- and five-bedroom properties selling for around €450,000. Getting there: There are flights from Heathrow to Biarritz, Pau, Agen and Perpignan. And the TGV serves Irun (for Biarritz), Lourdes and Perpignan.